Over 20 local artisans. Prize raffle including Daylesford hamper. Café with homemade cakes. Seasonal BBQ with spring lamb, beef and veggie burgers. 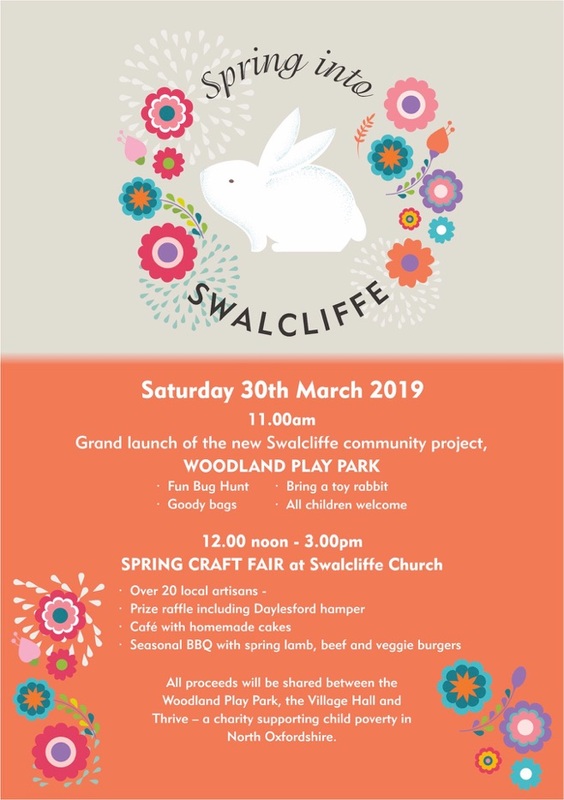 All proceeds will be shared between the Woodland Play Park, the Village Hall and Thrive — a charity supporting child poverty in North Oxfordshire.